When the Government's Digital Economy Council convened at the end of October, there was some good news to digest. According to data compiled by analytics company, Dealroom.co, the United Kingdom has been home to no less than 60 $1bn tech companies since the late 1990s, representing 35% of the 168-total created across the whole of Europe and Israel. Equally important, these once rare-as-hens-teeth ‘unicorn' businesses are not confined to London and the tech powerhouses of Oxford and Cambridge. While the capital undoubtedly dominates, unicorns have also been sighted as far afield as Manchester - which has five to its name - Edinburgh and Leeds. All of which must have been very satisfying for the assembled policymakers and digerati at October's Digital Economy Council Meeting. Everyone knows the strength of the UK's tech startup scene, but if young companies are to fulfill their potential and make a genuine impact on the wider economy, then it is essential that a significant number of innovative businesses succeed in scaling up nationally and internationally. And while the UK has yet to create ‘the next' Google, Facebook or Microsoft, an increasing number of $1bn businesses spread across the country as a whole is a promising sign that the tech sector is moving in the right direction at a time when the uncertainties surrounding Brexit seem to be mounting rather than diminishing. That's the glass-half-full perspective. 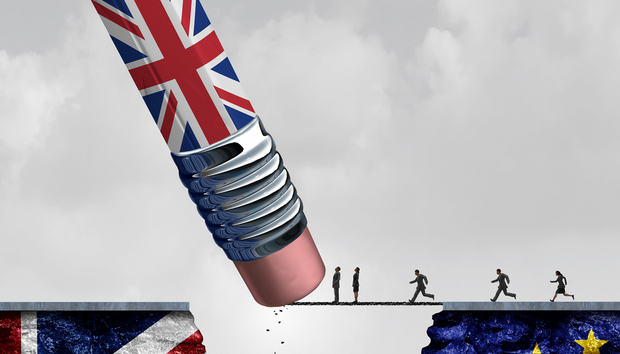 But looked at through the lens of a glass-half-empty, the imminent decoupling of Britain from the rest of Europe threatens to undo at least some of the progress made by the tech industry. That's something that Gerard Grech, CEO of Tech Nation acknowledges. As one of the bodies responsible for nurturing the UK's digital industry, Tech Nation co-commissioned the Dealroom data and was quick to publicize and celebrate the results. But Grech accepts there are some real challenges ahead - not least around the hiring of talent in the post-Brexit era. "This is a young industry that is growing fast," says Grech. "We need to be aware of the demand for skilled people and the demand for leaders."